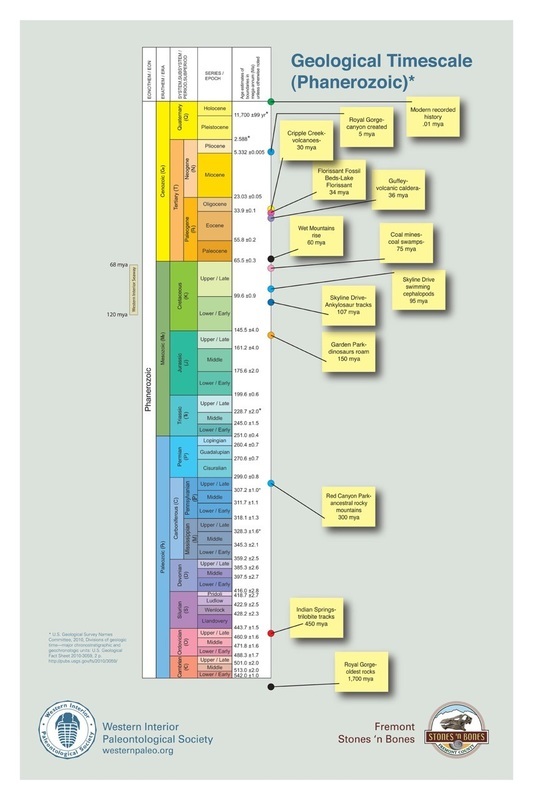 Click the image to download the Geologic Timescale for your personal use or purchase a copy from The Geological Society of America. Click the image to download the Fremont County and local area (Colorado) Geologic Timescale for your personal use. Permission given by Dan Gernard, Courtesy of Fremont Stones 'n Bones and Western Interior Paleontological Society westernpaleo.org.